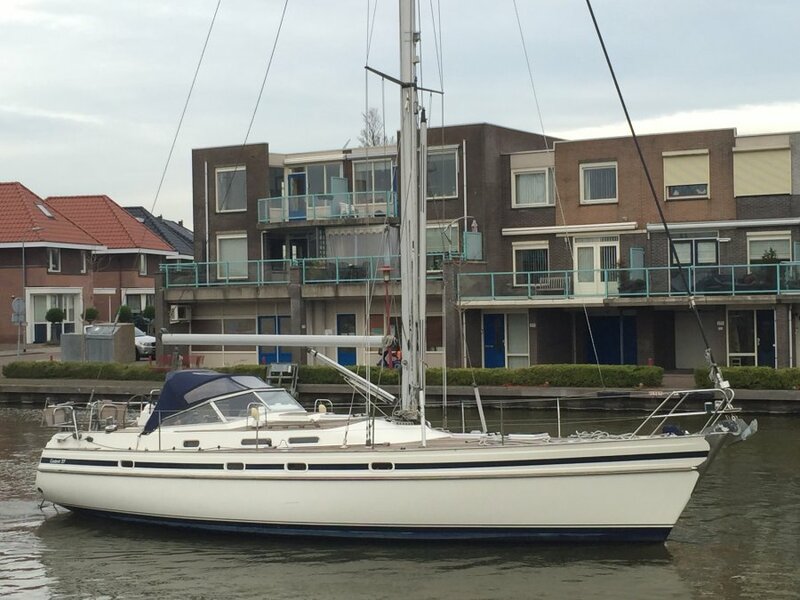 The Contest 37 was designed for short handed sailing in great comfort. This yacht is equipped with the 1.95m. fin keel for optimal sailing performance. Extra comfort is offered by the electric genoa winches, her inmast furling main sail and the bowthruster. Many items have been refurbished or renewed such as heating & fridge. Her cosy teak interior ensures a pleasant stay below deck. Amongst her list of equipment are a hardly used spinnaker and a set of cockpit cushions.Windveer has mostly been sailed on fresh water and has hardly been used over the past 12 years. Teak deck partly repaired where appropriate. Hutten: Forward cabin with double berth in V shape, Spacious aftcabin with very large double berth. Watertank & materiaal: Approx. 250L. ik ontvang graag meer informatie over de Contest 37.